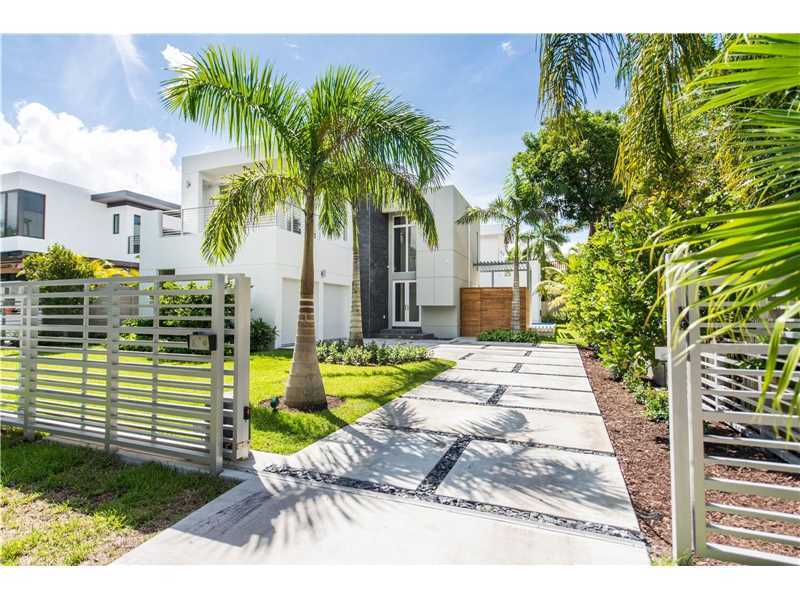 3,703 sq ft newly renovated 4 bed/3.5 bath estate on Miami Beach?? ?s Pinetree Dr. This home features a sleek modern style with gorgeous light filled open concept living, dining and gourmet kitchen overlooking the pool. Spacious foyer and elegant stairway lead to all bedrooms. Chicago brick throughout driveway and patio to the 2 story oversized guest house with 1500+ bottle wine cellar and wet bar. The private lush patio area offers the perfect balance of peace and privacy. Perfect for entertaining. Exceptional position on best canal in exclusive, gated Gables By The Sea. No bridges to Bay. Triple wide canal/lagoon. 127 Ft Seawall wraps around this 15,600 Sq Ft corner lot. 180 Degrees water views, South and West. Update to your style, instead of overpaying for some other house that you still have to re-do. Serious, motivated sellers. Partial seller finance. A-Plus Schools. ONE OF A KIND HOLLYWOOD GOLF ESTATES DREAM HOUSE Amazing waterviews with quick ocean access,pool with spa, very private and upclass neighborhood. 4 well sized Bedrooms, 3 full bathrooms, steam shower, Gym room on Master suite, Library/Office room, 3 car garage. Marble floors, granite counter tops, Subzero apliances, stunning kitchen with double oven, two diswashers, independant ice maker Central vacum system, hurricane impact windows and doors, in/outdoor top of the line surround system, generator. Spectacular modern masterpiece just completed! Just steps from the beach, 3 minutes from Aventura Mall and all of the amenities Sunny Isles has to offer. This custom home has never been lived in. Impeccable attention to detail throughout. Ultra contemporary design is complimented by a near perfect layout. An absolute must see for those looking to live in a bright spacious and open home. Too many finish details to describe here. This is a unique opportunity to have it all. Call for an appointment today!